lamps arrive set to user location, date & time – no smartphone or setup! BREAKTHROUGH 6-color light engine technology for emulating natural light! 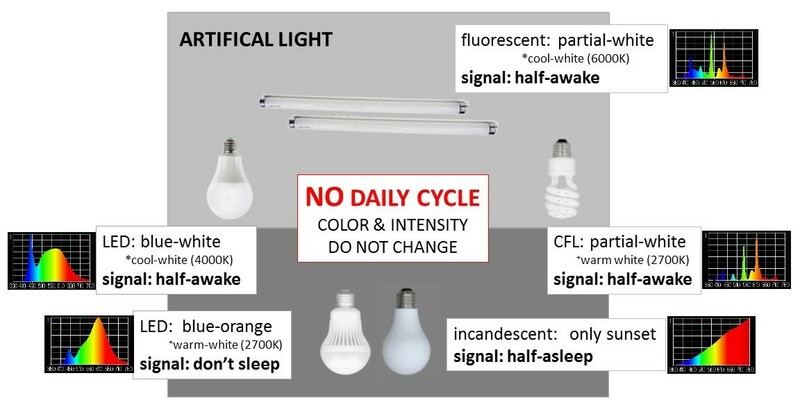 New LED light engine technology and custom algorithms actively mix six colors to create beautiful and healthy natural light. A Sunlight Lamp mixes all of the colors of the rainbow to create beautiful balanced spectrum light – just like natural light. 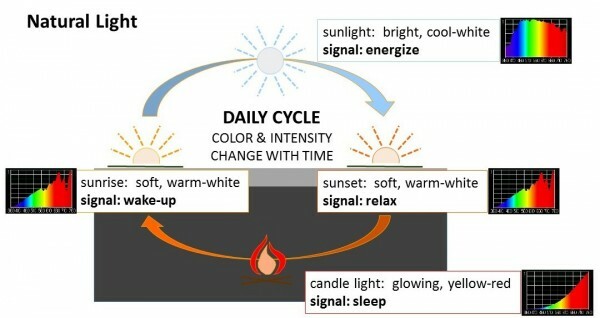 Sunlight Inside’s patented technology changes the ratio and intensity of colors with the time of day to create healthy light – automatically cycling from sunrise to daylight to sunset, and then candle light – just like natural light. Sunlight Inside’s Sunlight Lamps are the ONLY lamps on the market with active 6 color LED mixing technology capable of delivering an accurate reproduction of natural light. Don’t settle for artificial light – experience light the way nature intended! ONLY Sunlight Inside lamps provide a naturally balanced spectrum, which automatically changes with the time of day – just like natural light! Fluorescents make us look and feel green, while LED lamps make us look blue and keep us awake at night! Sunlight Inside fills your space with beautiful and healthy natural light. 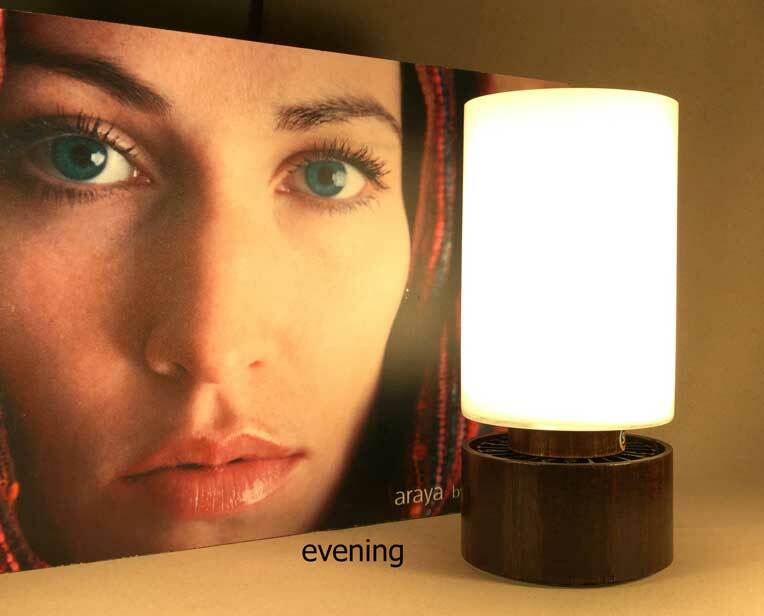 Experience the ONLY Sunlight Lamp which provides the daily and seasonal cycles of natural light – automatically cycling from bright ‘awake and alert’ daylight to a soft ‘relax and sleep’ night light. Experience the perfect light at every time of day! Sunlight Inside supports our energy, mood, metabolism, sleep and general wellness! 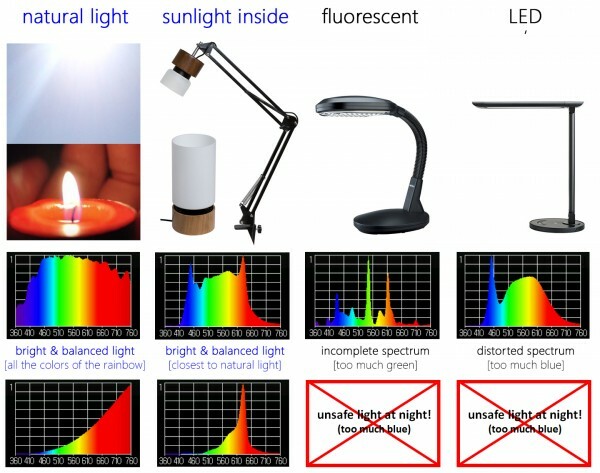 artificial light interferes with our energy, mood, metabolism, and sleep! 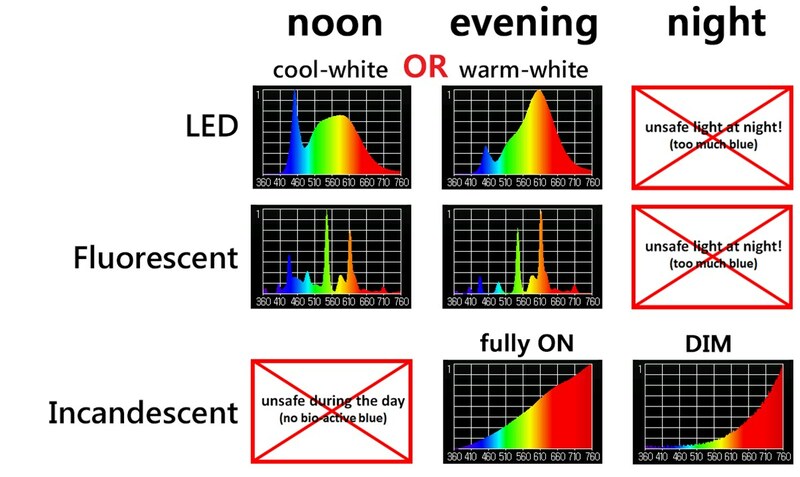 Maintaining healthy bio-rhythms requires exposure to BOTH bright light during the day AND the absence of blue light at night! Blue sky during the day energizes us by signaling our ‘awake and alert’ hormones (Cortisol), while the absence of blue sky at night signals our ‘relax and sleep’ hormones (Melatonin). Artificial light does NOT provide the queues we depend on to look, see and feel our best. Artificial light does not provide enough light during the day to signal ‘awake and alert’ and delivers too much blue light at night which interferes with our ‘relax and sleep’ cycle. Studies show we now spend 90% of our time indoors, stuck in ‘lighting purgatory’ = never getting the lighting queues our bodies require to maintain healthy circadian rhythms. Sunlight Inside’s natural sunlight lamps are designed to deliver the perfect daylight, providing sunlight to boost your energy, and lift your mood during the day. 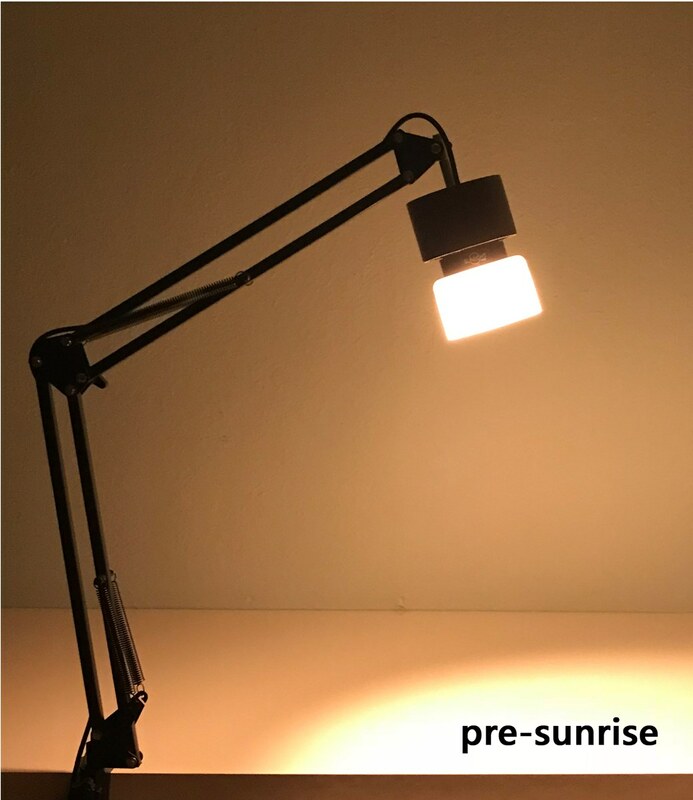 Sunlight Inside’s natural light lamps then provide the perfect night light, by transitioning through a beautiful and relaxing sunset to candle light to help you relax and sleep easier. Natural light is fundamentally different than artificial light – don’t settle for artificial light – experience light the way nature intended! Help us give the gift of natural light! To place an order, see our product page, or visit our Indiegogo campaign!